Things often arrive in the Woodson unexpectedly. 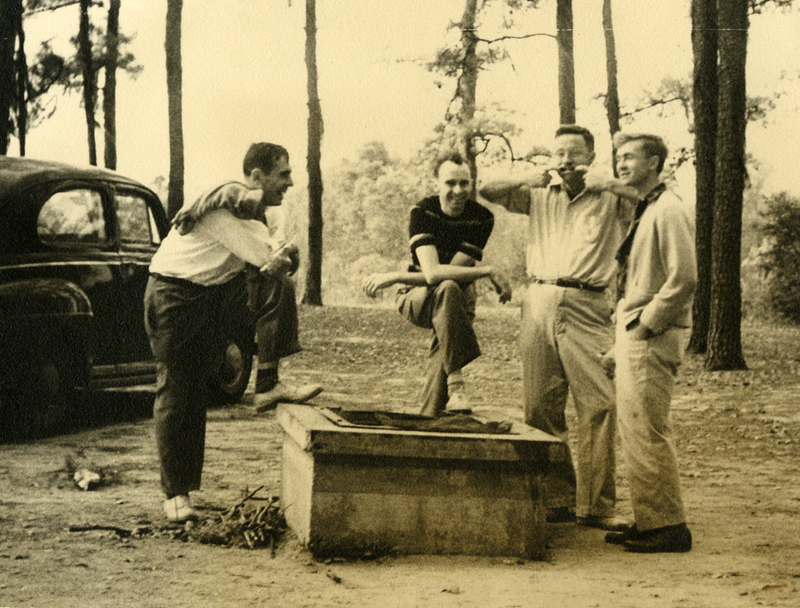 Last week we were surprised by a packet of photographs that came from the family of Edward Hake Phillips, who taught history at Rice from the late 1940s to the late 1950s. 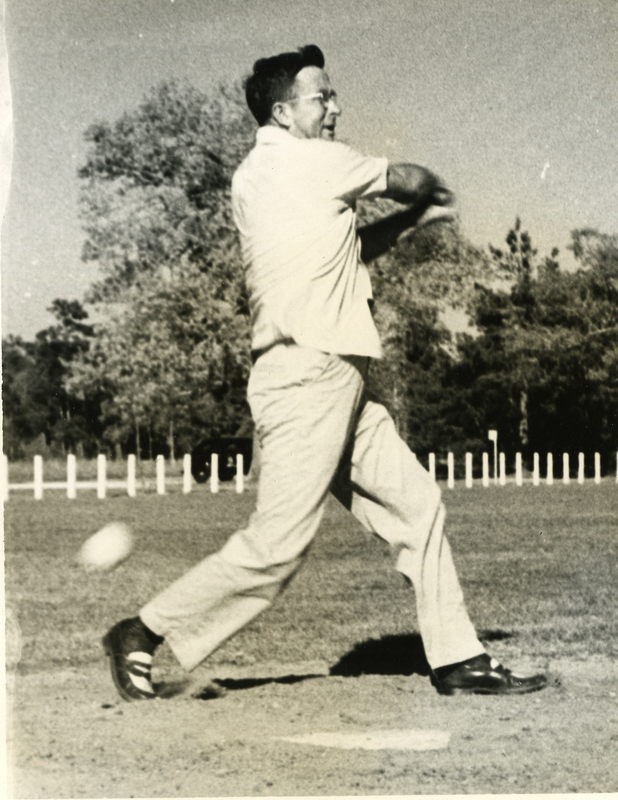 (Phillips left Rice for Austin College, where he spent the rest of his career as an extremely important and beloved member of the faculty. He died in 2009. Here is a nice obituary from Austin College.) Most of these pictures show members of the department at leisure–at dinner parties, excursions and picnics. This makes sense, I suppose. Who brings a camera to work? (Besides me, I mean.) 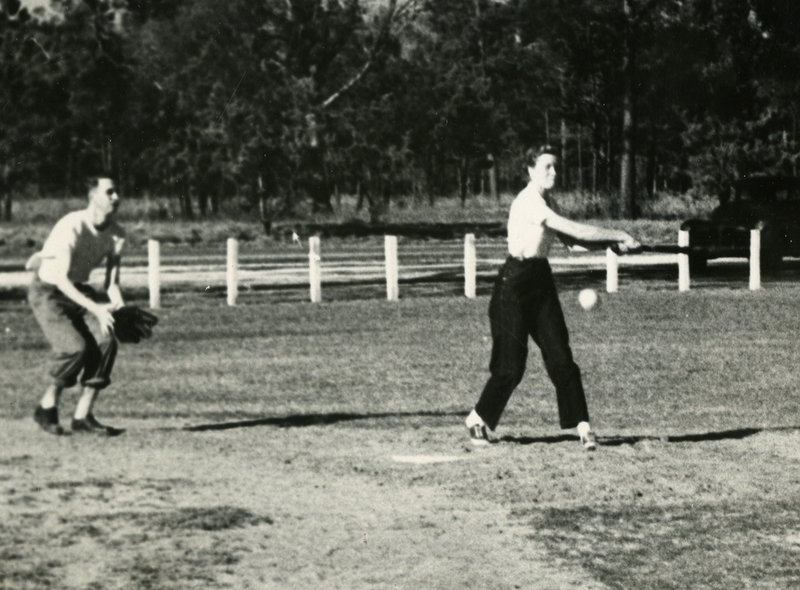 This picture above was taken at the department picnic sometime in the early 1950s, probably in Hermann Park. Phillips is the guy in the middle with his foot up. Next to him, making a face at the camera, is William Masterson, who would find himself at the center of one of Rice’s biggest controversies some fifteen years later. Here’s another beauty. It’s kind of hard to tell here, but that’s Katherine Fischer Drew at the bat. There are more pictures in this collection that are well worth some comment, and I’ll get them up soon. We are very grateful to the Phillips family for sending these to us.